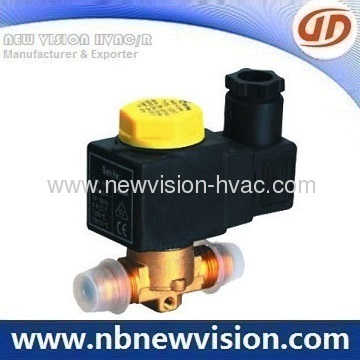 SH series Solenoid Valve is a kind of normally closed, two-channel trait ,actedas a pilot valve, it usually is applied in the liquid refrigerant or exhaustingair and water or compressing air etc. 1. Nut with O ring ensures watertight performance andstrengthens the watertight performance of the coil. 2. The elaborately designed coil winding conforms to CE161-lstandard and able toremain functioning under extreme conditions. 3. The coil winding can be fitted with plug-in connector, which is configured withthree wires and can be connected very easily. 4. Electromagnetic coil employ moisture-proof resin windings, which possesseswater-proof and shock resistant characteristics. 4. There is no need to shut systematic pipe line when replacing the electromagnetic coils. 5. The valve can evaporate normally, be opening or closing, under the conditionthat there is no pressure differential of the refrigerant media. 7. 24V, 110V, 220V and 380v electromagnetic coil are available andplease inform us of that when placing order. 8. Substitute for congeneric import products like DANFOSS, CASTEL, PARKER, EMERSON, SAGINOMIYA. 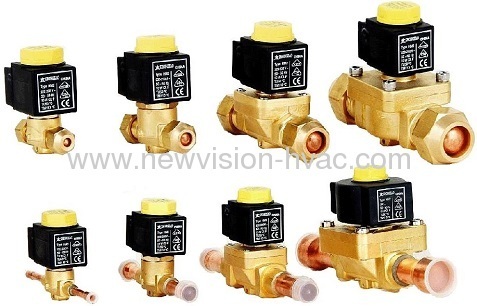 In case of more assistance about rerigeration solenoid valves, welcome to let us know any time.